I had a day tour with clients up in Canada last week. We visited some areas I normally try to hit in winter, when raptor activity is peaking. So it was interesting to see it in early spring. Sure enough, the owls and many other birds of prey were absent, but we had lingering eagles and an odd harrier or two. 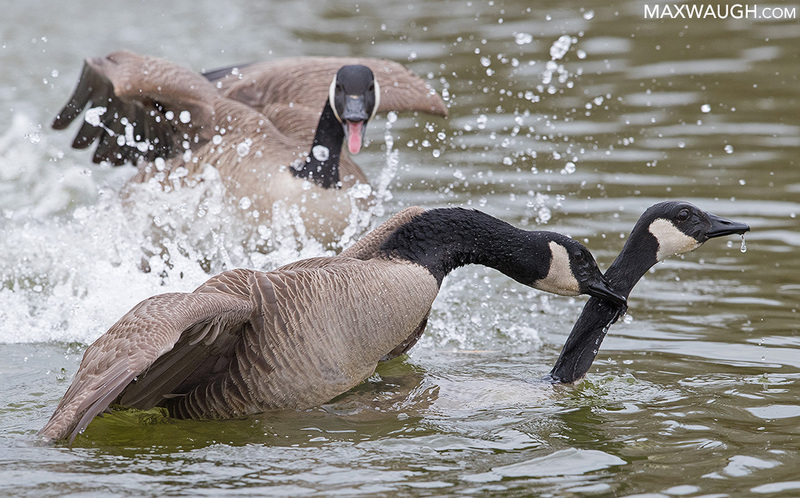 The best action came from some of the local waterfowl, including courting Canada geese. 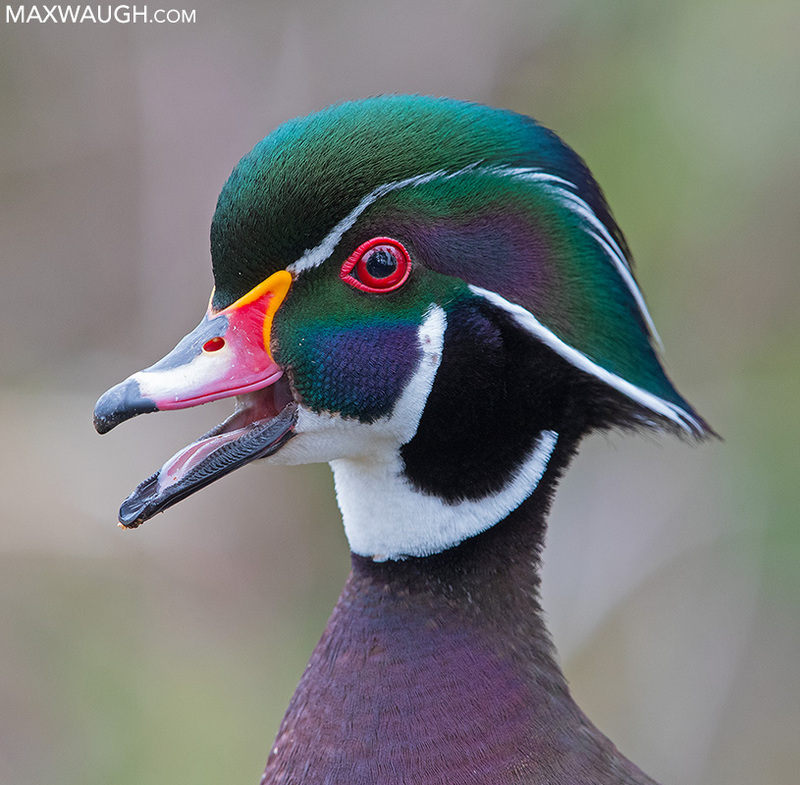 It's a common bird, but I'd never witnessed this dynamic and action-packed display (which involves a lot of splashing). 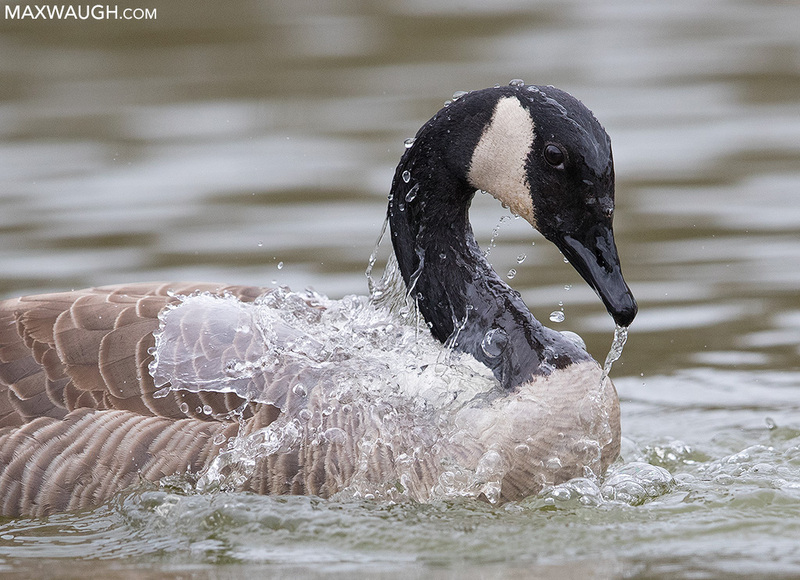 I wrote about the goose courtship and shared more images in the blog today. You can check out the rest of the photos from our day trip in my photo archive. 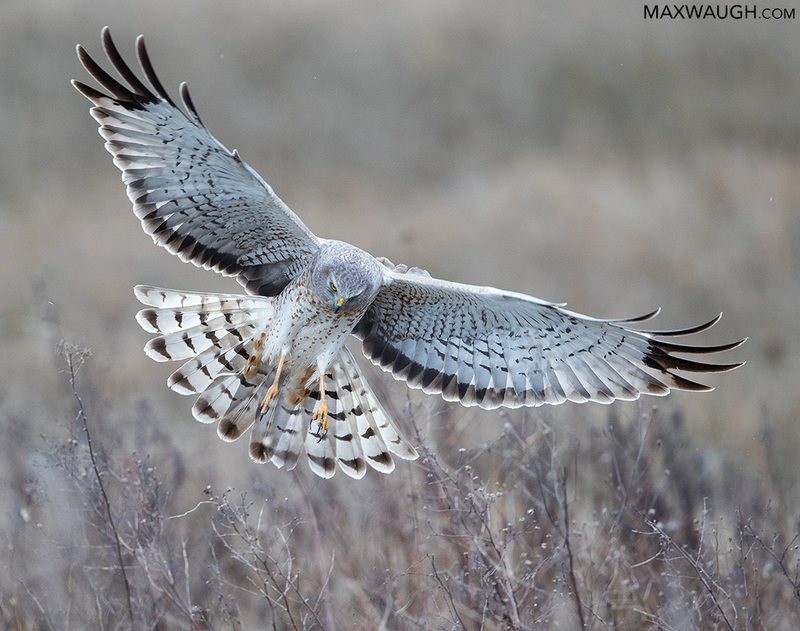 Beautiful shot of that northern harrier, Max! Gosh, Max, that first shot is just stunning. And the others are great. Max, I just saw a northern harrier fly over our house this morning. Kind of unusual to see them this early. Went for a walk along the river yesterday and saw lots of geese, ducks, a couple of bald eagles, a golden eagle and a mated sandhill crane couple that comes back every year to nest So it looks like spring is finally returning to the Greater Yellowstone. But you'd never know it by the weather. It's been very cold, very windy and we're still getting snow. For bighorn sheep fans, I saw 20 to 25 bighorn sheep up in the canyon yesterday afternoon. Most were young rams, ewes and yearling lambs. Heard that the big boys had moved across the River so I never saw them. The wild turkeys should be prancing around in early May. Haven't seen any bears yet and I haven't seen any of the local elk. But I'm sure they're around. I'll post a few pix next week so you can get a better idea of the parade of wildlife that's going on right now in the Greater Yellowstone. Early spring is such a wonderful time of year! Thanks guys. I was surprised how fruitful it was for this time of year (since winter is typically the best season there).